Hungarian Government To Train 3,000 "Border Hunters"
The Hungarian government is planning to beef up security on its border with Serbia by training a further 3,000 “Border Hunter” personnel to aid existing forces. Hungarian law states that a mere fifteen asylum seekers are allowed into the central European country per day and the government is looking to boost the number of border agents to maintain tight security. Many migrants still try and enter Hungary illegally and the government hopes that the increased presence will allow authorities to capture and return migrants to Serbia as timely as possible Kurier reports. Around 3,000 “Border Hunters” are being trained by the government to assist police. The six-month training course is scheduled to be completed in the spring and those trained will search an area within eight kilometres of the border and if they find any illegal migrants will detain them and bring them to the border for deportation. According to Budapest, the new personnel are needed because the current force of 23,000 officers isn’t enough to fully man the entirety of the border. The Hungarian government has been searching far and wide to find recruits for the programme. Police officials have held information meetings are various city events across the country and have even gone into high schools to recruit students. Earlier this month Hungarian police posted a press release on their website claiming several students picked up application forms and the response was largely positive. 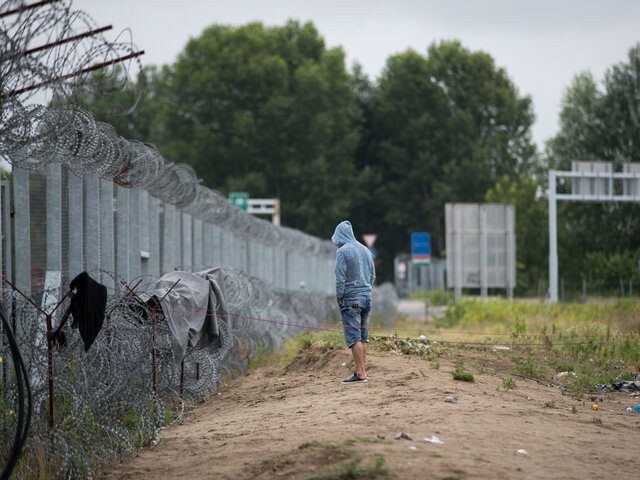 In the August of 2015, Hungary was the first European country to close its border building a fence along the shared border with Serbia. Since then the Balkan route of migration has largely halted due to more countries following suit and the European Union’s migrant deal with Turkey. Despite the closure, thousands of migrants have still attempted to get to western Europe, specifically Germany, via the route. The result has left many migrants stranded in various countries along the way including Bulgaria and Serbia. The Serbian capital of Belgrade is now home to well over a thousand migrants, many of whom live in a makeshift migrant camp next to the main train station hoping the borders will once again open. Others have created a camp along the Hungarian border where they continue to try and sneak into Hungary on a regular basis.